For Yeezy season 4 Kanye West shuttled a barrage of editors and guest to Roosevelt Island to take in his latest parade of monochromatic bodysuits. While the location added a layer of secrecy to the show, it also turned up the heat – literally! Several models struggled with the 80 degree weather, with social media revealing pictures of women who appeared to pass out, to the shock of attendees. Kim, Kylie, and Kendall at the Yeezy Season 4 presentation. Image courtesy of Vogue. The show was just as much about its attendees as the collection itself. 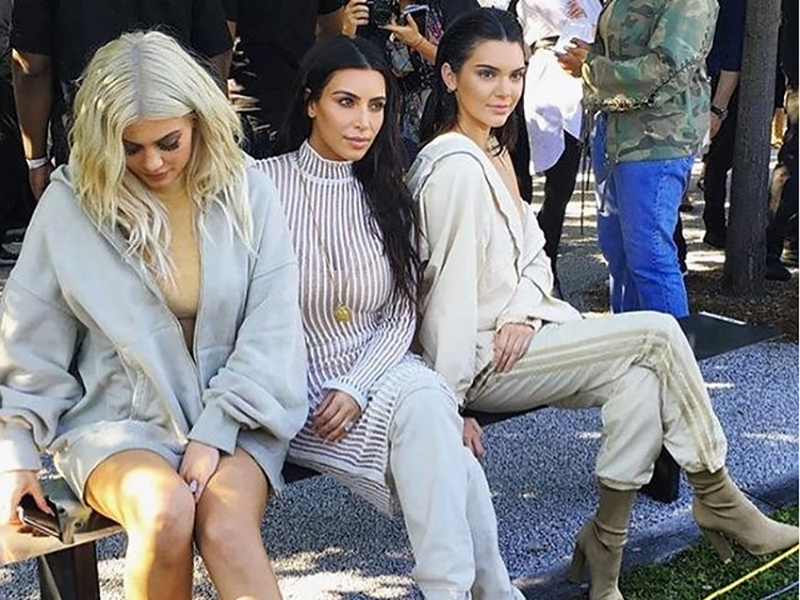 Kim, Kendall, and Kylie showed up in the front row (an hour and 15 minutes late) wearing all beige everything. The Jenner sisters are having a busy week, Kendall is sure to be walking for the duration of New York Fashion Week and Kylie was just tapped for the latest Alexander Wang campaign. Other celebs included Pharrell, Spike Jonze, La la Anthony, Pusha T, Virgil Abloh, and Kanye’s latest man crush – Desiigner.